As most brides know, invariably something will go wrong in the lead up to, or on, your wedding day that will need to be solved. As such, sometimes there is no such thing as a dream wedding - but there is such a thing as your dream wedding team. If you have the right team around you, such as Bek and her peers, we guarantee your problems will turn into positives or you won’t even know what went wrong in the first place! Bek and Paul’s caring and considerate nature, combined with their innovative, can-do, anythings possible attitude, are the utmost professionals. They are the right measure of both problem solvers and idea generators, and provided us a wedding day that we will never forget. From the gorgeous styling in the calligraphy, linen and floristry, to the inventive options Bek discussed with us for the ceremony and reception logistics, to the slight touches that made our day quintessentially us, Bek made us feel we were in safe hands from day one. And, this shows in the numerous providers who are keen to come along with her for the ride. We met the most amazing people through Bek, and that in itself demonstrates just how valuable she is. Bek and Paul, we cannot thank you enough for the guidance, hard-work and determination you put into our wedding day. You worked countless hours and brainstormed numerous ideas, and quite simply provided us a wonderful day that we will never forget. 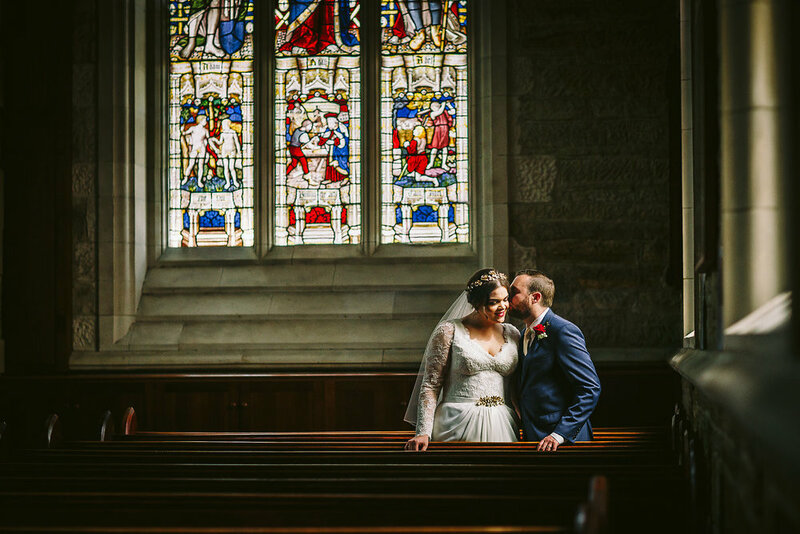 We feel so lucky to have found you, and look forward to reminiscing on our day with you both for years to come over a glass of red and some good Tassie cheese! We can’t wait to see all the future weddings you create - we know they will be exquisite. When we decided to get married in Tasmania and use only Tasmanian suppliers we dedicated hours of research to find the best combination of stylist, venue, photographer, caterer, and music. One name consistently rose through the cacophony of sales pitches and enamoured us with her iconic calligraphy, florals, and aesthetic: Bek Burrows. Bek is the most prominent wedding stylist in Tasmania and her availability (or lack there of) is a reflection of this. We wrote Bek an email almost a year from our proposed date and were fortunate enough to secure one of the two available weekends she had remaining in an 18-month time frame. We wrote to her introducing ourselves, our values, and what we felt was important to us in celebrating our wedding day. Our openness and honesty was reciprocated by Bek, who made strong recommendations for suppliers - some of whom we had already flagged and others that were unfamiliar. Bek is the greatest billboard for Tasmania, utilising only the best local suppliers, as was the case with our florals, hair (Jamie Anderson) and photography (Jonathan Wherett) and supporting some of the brightest emerging talents, such as our caterers (Feast Tasmania), videographers (Light Noise Films) and music (Foley Brothers). The Venue: we approached Bek with a particular venue in mind. Bek openly disclosed that she would no longer be able to create that same aesthetic at that venue and recommended another option, Clarendon in Northern Tasmania. Clarendon is a hertiage-listed homestead that would not have initially come to mind as a wedding venue, until now. Bek harnessed the grandeur of the house and the majesty of the walled-gardens to create a wedding befitting the pages of a fairy tale. When we met Bek, Paul and Jonathan Wherrett (Photographer) at Clarendon, there was a palpable energy that we fed from. They took us through the countless spaces and we discussed the different permutations of ceremony, reception and dancefloor, each with a little more excitement until we found our perfect spaces. Bek wanted to create a sense of surprise and allure for our guests as they entered the different stages of our wedding all the while maintaining flow. Design: Bek thinks of everything. She executed our aesthetic with precision and meticulousness. She designed the invitations with the personalised menus in mind to continue the motif. She coined the phrase "dinner and dancing under the stars", which encapsulated our entire evening. Her florals were beautiful, generous, tasteful, but she also planned around Feast Tasmania's bountiful dinner, which occupied most of our table (as we had hoped). Her flowers were locally-sourced, small-batch and radiated the same honesty and connection to Tasmania that the entire wedding channeled. Leish had requested white hydrangeas in her bouquet as an homage to her late grandmother. Despite being late January and a freak heat wave in Tasmania, Bek did her very best to source them, including door-knocking the streets of Launceston, and in true Bek-style she delivered. Her calligraphy speaks for itself, adding a certain panache to all of the signage she produced (and sent on to us as mementos). Collaboration: We presented Bek with a number of ideas and suggestions which were always welcome and Bek accommodated. She maintains this management style with all of her suppliers, welcoming their input and advice, to bring out the best in each to create the ideal wedding for her clients. She communicated with the MC to ensure that timings were met and was always easy to find should anything need clarification. Bek went beyond a coordinator and became a mentor and confidant in the final stages of the wedding. She made herself available to both of us to ensure that we approached the wedding day with calmness and excitement. This is something she doesn't list in her proposal or on her website but it had the most positive impact in the lead up to our day, for which we are grateful. The Wedding: Reflecting on when we first viewed Clarendon, Bek was excited by the potential of the space and we were excited to see the finished product that Bek had envisaged. The wedding she orchestrated far surpassed all of our expectations. We garnered feedback from our guests about their first impressions of each space and the wedding in its entirety, and the most common adjectives were "majestic, enchanting, and beautiful". In fact, guests were identifying small pieces that reflected Bek's attention to detail that not even we had noticed, such as the flowers on the balcony as we made our now glamorous entrance (orchestrated by Bek and a complete surprise to us). That iconic long curved table that Paul custom-built to follow the curve of the front drive way, had never been done before. We trusted Bek and Paul's vision and their product was breath-taking. The checkered dance floor in the alcove of trees lit with festoon lights is a recurring image in our dreams. It was simply the most enchanting space, removing us from any reference to time and space, and transporting us to any place on Earth. It is difficult to articulate in words what Bek had created and only Jonathan Wherrett's photos and Light Noise Films' video do her work justice. Bek Burrows was open and honest with us and we trusted her judgement. It was this trust that empowered her to produce a wedding that embodied all of the values we wrote to her about: family, love and laughter. She created the most magical and enchanting celebration of two people that anyone could envisage; and she did it by showcasing the finest that Tasmania has to offer. In Bek we trusted and Bek delivered. We cannot thank Bek & her team enough for the amazing work they put into our wedding! Our vision was well and truly brought to life, from our gorgeous stationary with Bek's signature calligraphy to every single detail in our reception marquee. It's true that there will be things on the day that don't necessarily run to plan, but Bek & her team ensure the day is seamless, stunning and fun for everyone involved! From travelling the state to source the last of the coral peonies, using a lighting fixture from her own home for our bridal table and creating the most stunning floral swing, every detail was executed beautifully. Thank you Bek, Paul & team for turning the most freezing, wet, windy December day into our perfect wedding! What a perfect day Bek created for Lucy and I. From the very first day we both felt understood and cared for. Nothing was too big or small a request. Bek's advice, experience and impeccable taste was always available when and where we needed it. Lucy and I had a vision for our wedding that Bek not only flawlessly delivered but exceeded in so many ways. Flowers, calligraphy, lighting, fabrics are such a small part of what she did for us. I'm sure not everything ran as smoothly as it appeared and having Bek there with us let Lucy and I relax and enjoy our day. We literally had the best day ever! We cannot speak highly enough of everything Bek has done for us from start to finish. We will continue to sing her praises to anyone who will listen. We feel we have new friends in Bek and Paul. Our only regret is that they were working and not guests at our wedding. Thank you doesn't begin to express our wholehearted gratitude. Bek was amazing! I couldn't have had the wedding I had envisioned with out her and her beautiful husband Paul. I am from Sydney and wanted to have my Wedding at MONA, Hobart. MONA recommended Bek to help me put all the pieces of the puzzle together. From the get go, I knew Bek and I would work well together. She is extremely creative and talented; from her beautiful floral styling to her gorgeous handwriting, everything was flawless. Her attention to detail is second to none. The venue looked spectacular! Thank you Bek for being you! You are a real gem in Tassie and I had the best time working with you. Bek, you created our dream wedding. I was so relieved to have your full assistance. You made organising every little detail a breeze! So passionate, attentive to detail and insightful towards what gems lie in Tasmania. It is clear you have the best knowledge in this industry. Let's not forget how good you are at keeping secrets! Our helicopter ride with gourmet picnic and our arrival at Frogmore Creek Winery was truly amazing, and the biggest surprise for our guests! Thank you Bek & Paul, and your amazing team. We will never forget what an extraordinary journey you took us on! Bek helped to shape our day into more than we ever could have imagined! Without Bek's advice and guidance our day would not have been the same. Bek secured unique venues for both our wedding ceremony and reception. The vendors she recommended were absolutely perfect. Our wedding invitations in particular were divine, Bek is one talented lady. From our first conversation Bek was professional but like a friend, enthusiastic but realistic, upfront and efficient to ensure what needed to be done was done with minimal stress. I cannot recommend Bek's services highly enough. She takes the Zilla out of Bridezilla!! What can we say! From the start Bek was incredible! Her commitment to our big day was awesome! She was easy get along with and easy to talk to. Bek did all of our invites in her beautiful calligraphy and her floral arranging was on point! On the day she was there from Friday to Sunday now that's commitment! Her husband Paul was by her side the whole time and he is the icing on the cake! His hard work made the day a stress free experience. My wife only had to worry about getting there and made the day special for her with the no stress factor. Thanks again BB we couldn't imagine our day without you and your team there to guide and help us! Bek and Paul are amazing! We couldn't have asked for better people to work on our wedding; A Gorgeous couple, that never stopped working, to give us the day of our dreams. Bek was fantastic! She managed to understand and get what I was going for right from the beginning! All my friends and family also kept commenting about how laid back I was about the wedding, and I can definitely say Bek was a big part of this. She had it all sorted including recommendations for every supplier! She made the process enjoyable and I would definitely recommend. Bek, you're amazing! Our wedding was stunning. So thrilled to have you be a part of it. Couldn't have done it without you. Thank-you! Thank you so much Bek for making our wedding day so beautiful. Your advice and vision was what we needed to ensure the day was exactly what we had hoped for. You helped with every part along the way and we are truely grateful, from the save the dates to the invitations to the big day, you hit the mark every time and we had full trust in you from the beginning. Your hard work meant that myself and Matt could just enjoy the day and not have to worry about a thing. Thank you so much again Bek you are an incredible stylist and we could not recommend you highly enough. Bek and her team created the wedding of our dreams! 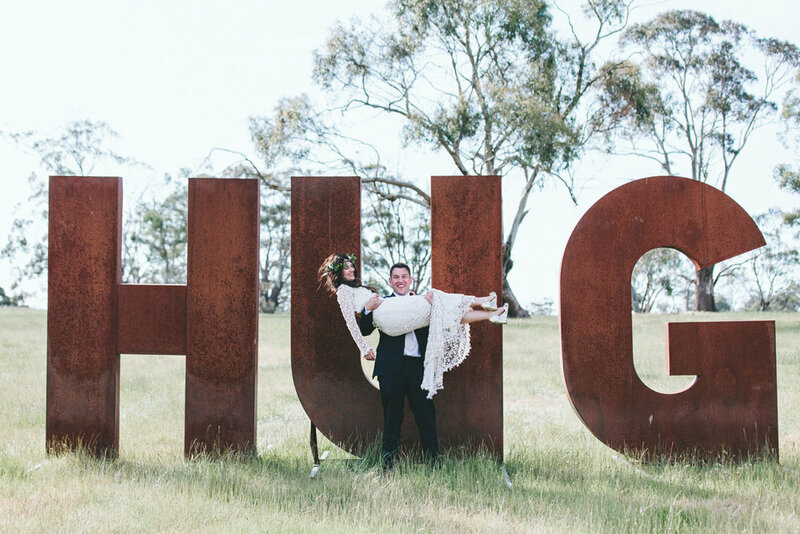 Living in Melbourne, Bek organised everything seamlessly in Tasmania resulting in a very relaxed bride & groom. Bek styled the venue in way that was so beautiful and creative- all of our guests were blown away. From the floral installations to the suggestions of who to use as a makeup artist and photographer- everything was so professional and perfect. I would highly recommend Bek to anyone thinking of having their wedding in beautiful Tasmania. If you are looking for someone to help you create the most magical, unforgettable and stress-free wedding day, Bek Burrows is your girl! From the get-go Bek was completely upfront and honest, went above and beyond to help us find a venue and supported our decisions and wishes throughout the whole wedding process. Her professional yet friendly manner made it easy to discuss ideas and she was always willing to share her opinions and experiences. Bek, Paul and the whole team worked absolute magic on our wedding day. I don't know many brides who can say they were barely stressed in the lead up to the day and not stressed AT ALL on the day of the wedding. I knew Bek was completely capable of taking care of every detail and I was very pleasantly surprised by how truly stunning the venue looked. Every small detail was thought of and taken care of and everything I had envisaged looked 20 x better than I had ever hoped. My guests are still commenting on the beautiful ambience and atmosphere of the wedding which started with the amazing organisation and ended with the absolutely gorgeous styling of both ceremony & reception. I can't thank Bek enough for creating something so special and unforgettable for us - we will forever feel complete and utter happiness every time we think about our perfect wedding day! Words cannot express how amazing Bek and her team is! From the get go, Bek was invaluable to have on hand. From the largest to the smallest details, Bek was there to talk it over and pointed us in the right direction. Her advice was particularly useful coming from interstate, and all of her vendor recommendations were outstanding. There would be no way that we could have been able to co-ordinate all the different elements in the lead up and on the day of our wedding, so having Bek made for a stress free day - such an achievement for a wedding day! She had it organised down to the letter and effortlessly smoothed over hiccups made by others! This isn't even covering her absolutely beautiful styling on the day itself - so magical. We were blown away by how Bek picked up on the smallest of things we had mentioned, and nailed what we wanted by purely looking at some pin-interested images. Last, and most importantly, Bek and Paul (who does so much hard work behind the scenes) were lovely people themselves, and were genuine in ensuring that the day was exactly how we wanted it to be. Cannot recommend Bek & her team enough. Bek, we really can not thank you enough for all the things that you did to make our wedding such a special day. You really went above and beyond the brief from spending hours on the phone with me, our meeting in Melbourne and sourcing a crazy amount of pom poms and fluffing them up - I really have no idea what I would have done without you. You are ridiculously talented. I could not have been happier with the flowers and styling that you did for our wedding. And seeing you after the ceremony was such a great bonus! Thank you again! We wish you all the best for the rest of wedding season. Looking forward to staying in contact and seeing what you come up with. I don't have enough words to say how grateful we are to Bek for all her hard work and attention to detail. 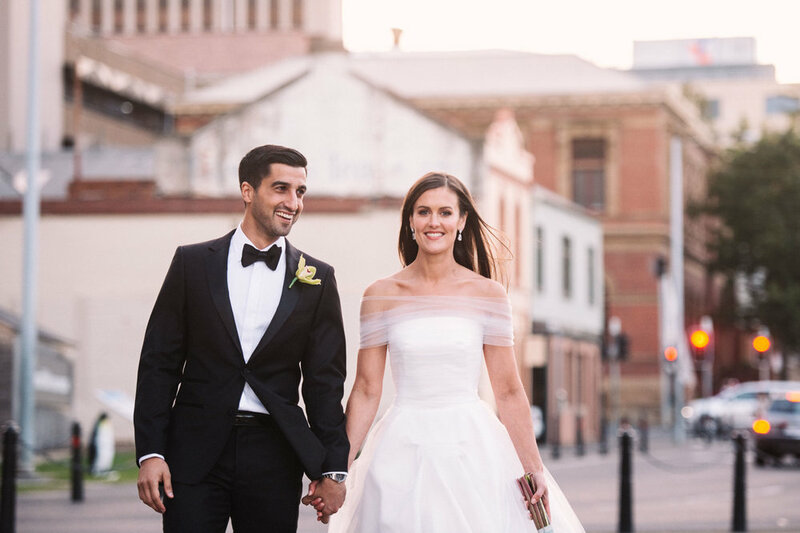 Bek is amazingly talented and we could not have hoped for a more beautifully styled wedding. In addition, we planned our wedding from overseas so it could have been incredibly stressful, but fortunately for us, Bek is a true professional and her advice, guidance and kind, calming presence during the lead up to the wedding and on the day meant that we were able to relax and enjoy every single minute of it with our family and friends. I cannot recommend Bek highly enough. Thank you again Bek, so much! We cannot recommend Bek highly enough. Bek immediately understood exactly what we wanted for our wedding and created a complete event that was beyond anything we could have ever imagined. Thanks to Bek, our day went along without a hitch and we were able to enjoy it without a worry! We were organising a wedding from interstate and Bek was our person "on the ground": she was able to both recommend and organise suppliers and she was across every single detail, from the lighting, the table settings, the food, and the decorations. She added personal touches to everything and her florals were absolutely divine! Bek, we are so happy that we had you on board with our wedding last November. You did such an incredible job and we were blown away by how beautiful everything looked, as were our guests. The marquee looked even better than we had imagined!! Everything really was perfect - from the flowers to the seating plans! Your attention to detail was superb - from sourcing “wild” daisies and making sure they were in my table setting to making my bouquet exactly how I had envisioned it. Your hard work in the lead up to the big day also allowed me to be so much more relaxed, which was a benefit to everyone!!!!! !